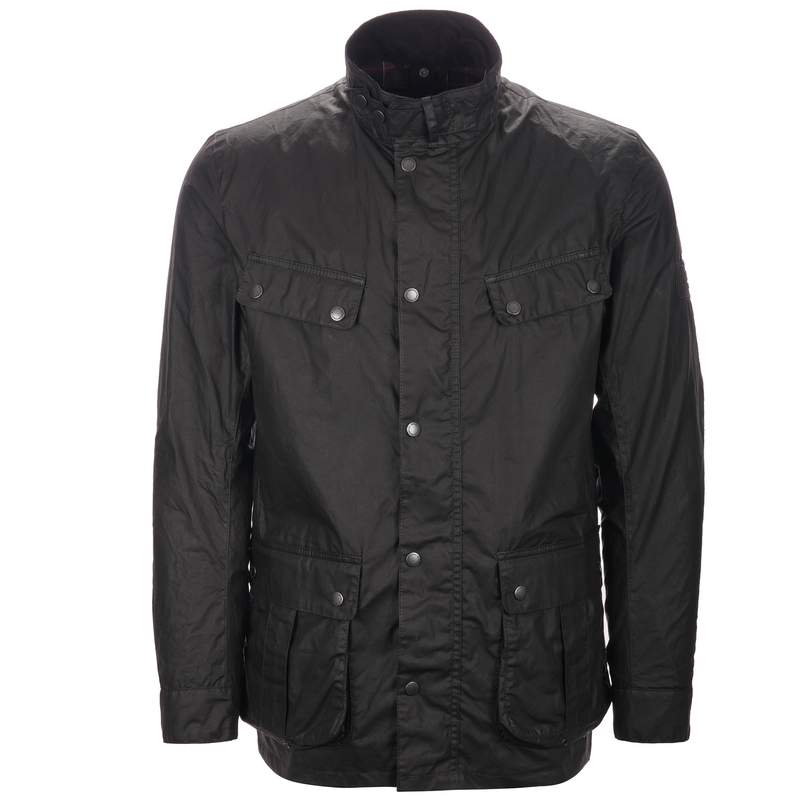 The Duke Jacket from Barbour International is a reworked version of the iconic Enfield jacket. The new version is a lot more user friendly with a winter ready insulation. The jacket has been constructed from a Thornproof waxed cotton whilst staying true to the classic Barbour biker aesthetic. The jacket comes with a cord collar, four outer pockets and a high rise neck with popper closure. it also features elbow patches and has been finished off with a Barbour International rubber badge to the left sleeve.